Verify FAN function and check whether air is flowing out from side or rear air vent. Set the Power Management to Silent Mode. 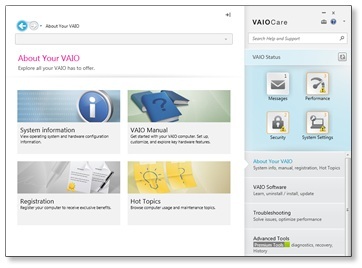 Click Start, click All Programs, and click VAIO Control Center. Under Power Management, click Power Options. Set the Thermal Control Strategy to Silent Mode. Plug in headphones to help verify if noise is coming from HDD, cooling FAN or built-in speakers. Reboot VAIO and listen for HDD noise. SSD does not produce any noise.